Scrappin with my bug: Jaded Blossom Challenge~ Thank You ! 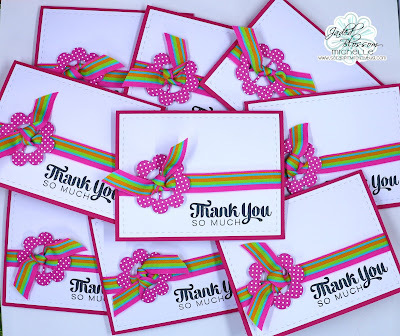 This month its to create a Thank You card or Treat! I recently got alot of presents at Christmas so I needed to make some Thank You cards for them so this challenge was perfect! These are just too cute. I am looking forward to participating! !